WORCESTER READING COMPANY #41 FAMILY ALBUM - Hardcover 96 Page Hair Styling Book With Over 200 Commercial Cuts. HAIRSTYLES FOR WOMEN: Short - Medium - Long - Color - Highlighting - Classic. Also Included: Men's Cuts, Men's Color And Kid's Styles. This Styling Book Has A Technical Step-By-Step DVD, Which Shows Technical For 14 Cuts, Color And Styles In English, Spanish, French And German. This DVD Makes A Great Tool To Educate Your Staff. It Shows The Step-By-Step Still Shots Of Techniques On Cutting, Coloring And Styling The Clients Hair That You Can Watch And Lear On Your Tv Or Computer. 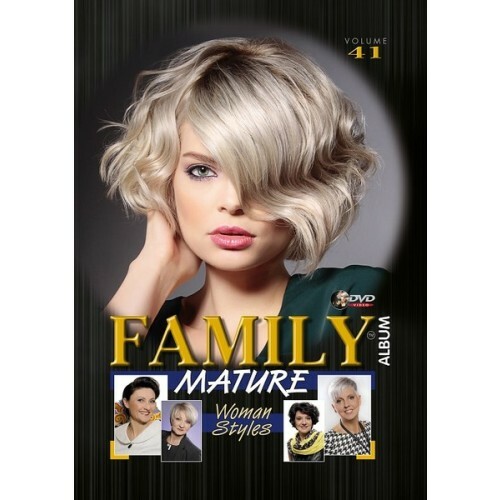 WORCESTER READING COMPANY #41 FAMILY ALBUM - Hardcover 96 Page Hair Styling Book With Over 200 Commercial Cuts. HAIRSTYLES FOR WOMEN: Short - Medium - Long - Color - Highlighting - Classic. Also Included: Men's Cuts, Men's Color And Kid's Styles. This Styling Book Has A Technical Step-By-Step DVD, Which Shows Technical For 14 Cuts, Color And Styles In English, Spanish, French And German. This DVD Makes A Great Tool To Educate Your Staff. It Shows The Step-By-Step Still Shots Of Techniques On Cutting, Coloring And Styling The Clients Hair That You Can Watch And Lear On Your Tv Or Computer.